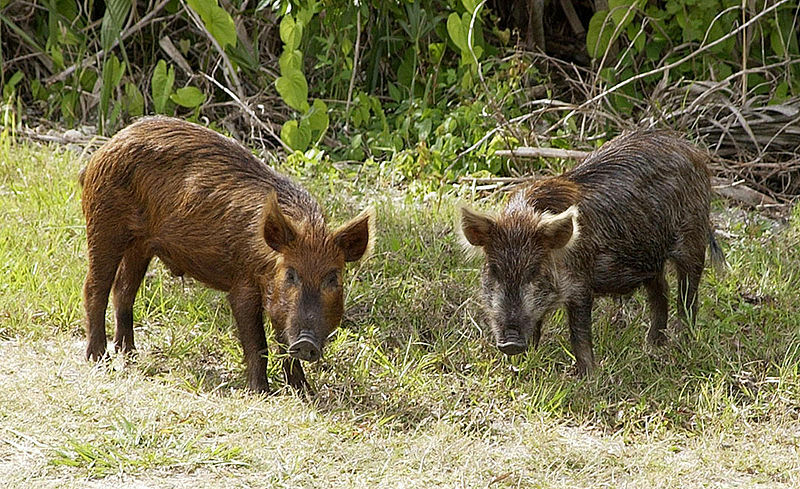 Officials with the the Southwest Georgia Health District are warning the public of the infectious disease risks associated with wild, or feral pigs. Hunters and others who come into contact with them or their meat should take precautions, says Southwest Health District Epidemiologist Jacqueline Jenkins. “Some of them [diseases] can result in long-term health problems or even death.” Jenkins said. Diseases associated with wild pigs include: Brucellosis, leptospirosis, E. coli, salmonellosis, hepatitis E, influenza A (swine flu), toxoplasmosis and trichinellosis. 1. Wear protective gear (including goggles and gloves), when hunting and butchering. Clean gear with a disinfectant such as a diluted bleach solution. 2. Use safe field-dressing methods. Avoid eating, smoking or drinking when dressing game. Clean cuts and scrapes appropriately and cover with bandages. 3. Avoid direct contact with feral swine – don’t touch the carcass with bare hands. Don’t feed dogs raw meat or let them play with the animal carcass, as some diseases can spread from dogs to people. 4. Cook meat thoroughly – 160 degrees F; and follow food safety rules to avoid cross-contamination. Be aware freezing, smoking, drying and pickling do not kill bacteria that cause brucellosis.